Restricting visibility can help ensure that students are ready for the next step before moving on. 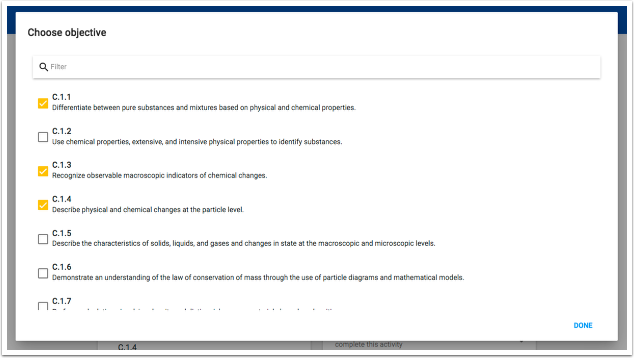 For example, a project might require certain surface knowledge to be acquired before they can access a folder with activities that deepen their understanding. Or, perhaps you want the students to meet with you to review a project benchmark before moving on, at which time you would provide the students with a password. To enable the advanced visibility options, click on the Settings tab in the Activity Editor. Open up the Visibility and Access section in activity settings. 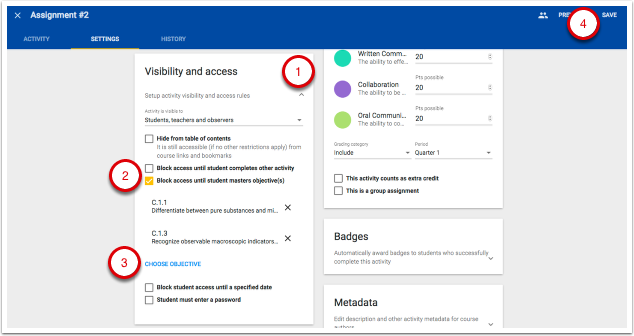 Click the checkbox for "block student access until a specified date"
Click the checkbox for "block access until student masters objective(s)"
Click the checkbox for "student must enter a password"